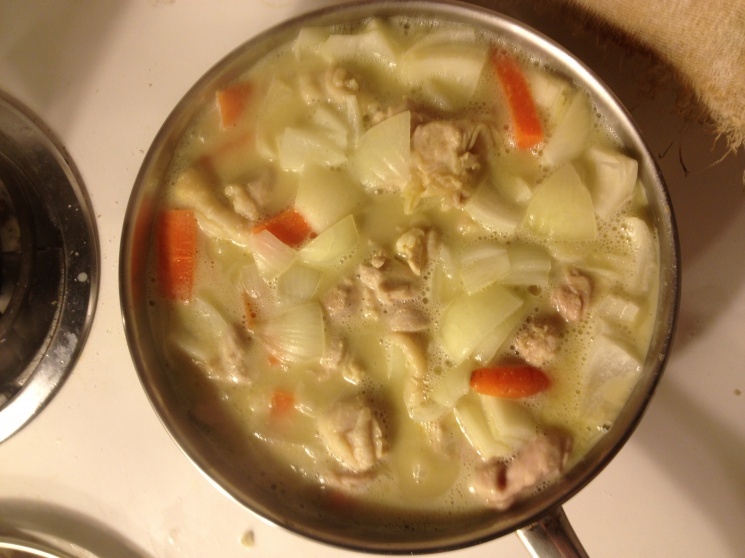 Put coconut milk into a pot, add chicken, and cook over low heat until the chicken is cooked. Add vegetable oil into a wok, over low heat add sliced shallots. Fry until crunchy, remove shallots from wok and set aside on a plate. Add yellow curry paste to the wok, and stir-fry until it's fragrant. Add coconut cream, a little bit at a time, keep stirring and gently cooking until some oil comes up to the surface. Scoop your chicken out from the pot, and add this to the wok. Next, put the entire wok ingredients into your cooking pot with the coconut milk. Add potatoes to the pot, bring to a boil, season with fish sauce and sugar. Let the potato cook over low heat (about 10 minutes), remove from heat and serve. Sprinkle crunchy shallots on top, and serve with Ajad and jasmine rice. Hi there, I just want to congratulate you for all your effort and good stuff i.e. the lovely recipes. I am real hooked by your recipes and try most of them. Very delicious. Not once a dissapointment! Congratulation! Hope you will continue like that. 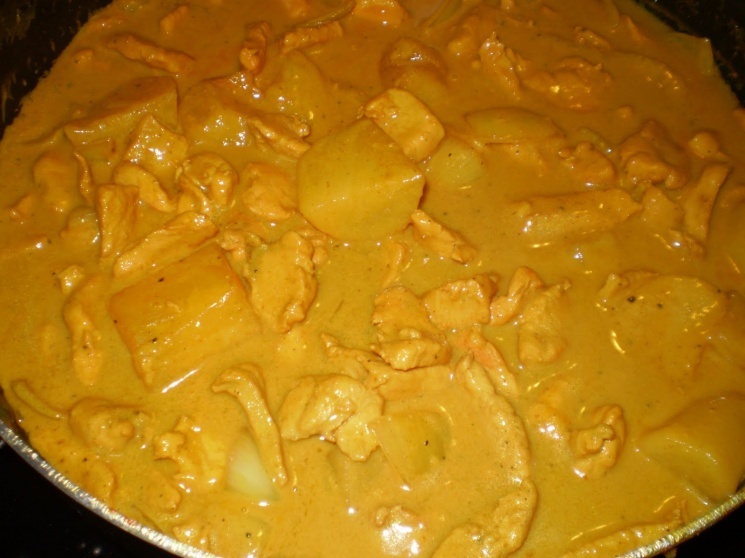 This "yellow curry Chicken" will be my next try, that's for sure. this recipe is f*ckin' LEGIT! I love to make this too it's comfort food for my husband. When I make it i also put Thai red chilie paste and sometimes a little bit of green chilie paste in it. It is gone in minutes. Usually I like to make my own chillie paste more fresh that way and you can taste the difference. Hello David! I also was stationed in U-Tapao, Thailand '73! I've been making variations on this dish for almost 40 years now and love the heck out of it. I don't add the salt, just the fish sauce is enough for me, and I put whatever veggies I have on hand, and sometimes a squirt of lemongrass from a tube found in the produce section of the supermarket these days, and/or a couple of keffir lime leaves (mail order from this site) if I'm in the mood, and/or some Thai basil when I've managed to grow some up here in the frozen north. It all depends on what I fancy at the moment, but always comes out fantastic. This site is a wealth of info and fantastic products that I am so greatful for. 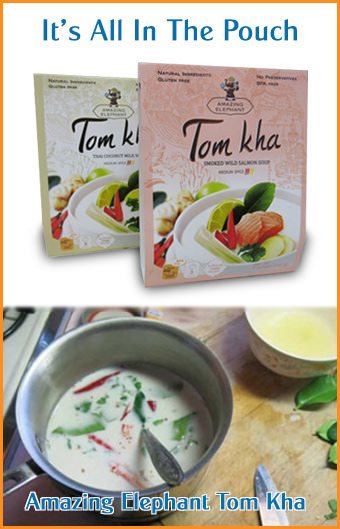 Can I please have an authentic Thai yellow curry paste recipe? Love Thai, Just learned to cook it! 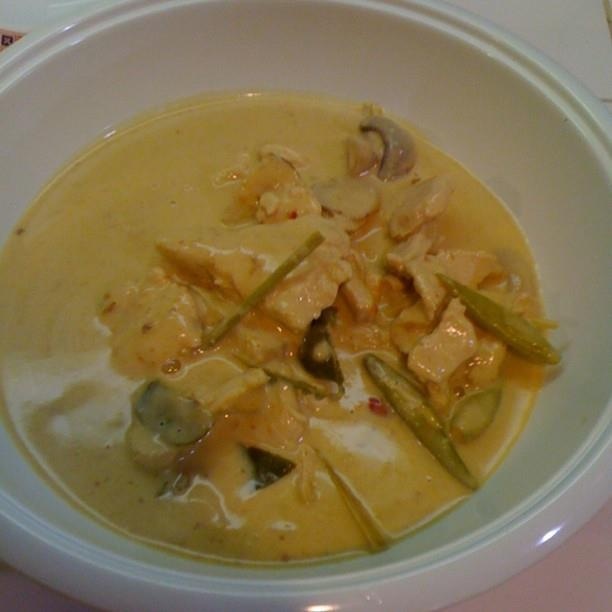 I made this dish this evening, it came out great for Yellow Curry(I'm a Green and Red Curry fan). For next time I will only use just over 2 cups of coconut milk though (not 2.5), I thought it came out a little less spicy. I like the recommendation from David Lopez at the top about putting Red Curry instead of Yellow as well. Great site, I'm buying a sticky rice kit tonight. Do you have vendor in cook book? Is there a way of getting one?